"Michael Brown and The Presence Process: A Journey into Present Moment Awareness"
"A mission to spread Transformational Breath® throughout the African Content." ...Please Donate. "East Metro Atlanta area of Georgia, offering Transformational Breath around the Southeast USA." "Consciously Breathing for a Better World with Eugenia Altamira." "Byron Katie's profound yet simple judgment resolution process." Official site of the Transformational Breath Foundation -- Transform Your Life, Learn why Breathing is the key to Health and Healing. Transformational Breath® is a registered trademark of Breath Ventures Inc. / Transformational Breath Foundation. "Allen Baker Healing - Chicago. 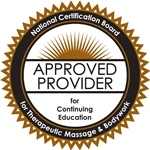 Allen Baker, Certified Transformational Breath Facilitator." "Breathe Ann Arbor is dedicated to sharing the healing and life-enhancing power of the Transformational Breath with interested others, and we offer a range of introductory and advanced Transformational Breath experiences in the Ann Arbor and Midland areas of Michigan as well as in St. Augustine, Florida and environs." "Coaching to heartfully boost the quality and enjoyment of your life, health, well-being, performance and success. Melinda Dewey brings you Transformational Breath and is also a certified Life Coach, Wellness Coach, Licensed HeartMath Provider, and certified Hellerwork Practitioner for two decades." "La Respiration Transformatrice, Reiki Usui, Le Gestalt-thérapie, et plus. Transformational Breath, Usui Reiki, Gestalt Therapy and more. Isabelle Verse. Tervuren, Belgique." "Mary Kennedy is a Transformational Breathworker, certified by the International Breath Institute. She holds a Doctor of Holistic Health from the Clayton School of Natural Healing. Mary is also a Canine Massage Provider, teaching classes in Holistic support for animal wellness." "Patty Alessi serves Long Island, NY with Transformational Breath, Byron Katie's, 'The Work' and Reiki Instruction." "Breathing with Nilgül Tavsel in Istanbul, Turkey. Organizing TBF Seminars and Private Workshops, Life Coaching and Reiki instruction." "Tools to regain peace, power and purpose in your life!" "Rediscovering the ancient art of breath awareness with R. Christian Minson." "We are here to support you in using your energy and performance in the best way possible, bring more joy and pleasure to your life, motivate you, support you to be the leading role in your life, help you discover real meaning in your life, and help you find out your real wish and real reality. Discover new abilities and techniques such as breathwork to use your power for your personal development." "Breathing exercises and instructions in The Art of Breathing book, video, and DVD revitalize, reduce stress, and improve health, performance, and well-being. Method combines Eastern & Western techniques for Personal Growth. Author Nancy Zi." "The Holystic Essentials Web Site. Holistic Health Especially for 'HSPs' (Highly Sensitive Person)"
"SelfGrowth.com is the most complete guide to information about Personal Growth on the Internet." "U. U. Rowe Camp & Conference Center, with a focus on community living and spiritual nurturance. The Berkshires in Western Massachusetts." "Rev. Janine Burns' regular Internet TV show from Long Island, New York. Janine is Director of the Guiding Light Foundation."